Last year I wrote a letter to my husband about these yummy looking breakfast cups from Picky Palate. He read my blog and did make them for me and they were good, but the eggs were a little underdone. I figured we would give them another shot, but I forgot about them. Then I was planning Easter breakfast and the idea popped into my head. And they were DIVINE! 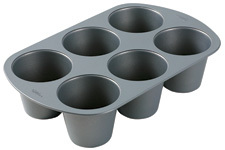 I don't have the muffin tin she used, so I actually used a king size muffin tin from Wilton. It made them almost popover-ish! And they are so easy! English muffin, cheese, pre cooked bacon, egg, some salt and pepper and bake! You should have your hubby try them for Mother's Day! 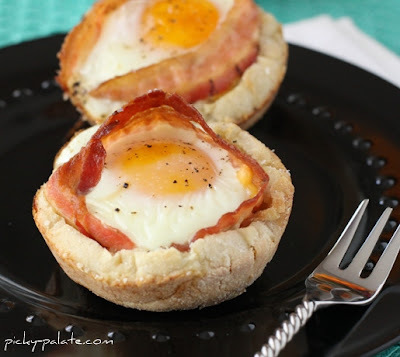 Wow these look delish thanks for the idea!